Today we are introducing a new series of articles titled ‘Made by you’. If you have feedback on this type of content or other aspects of the Windows Insider Program, please let us know via the Feedback App. ‘Made by you’ highlights how we are addressing feedback from Windows Insiders, how we investigated this feedback to shape Windows, and why we have made these improvements. Windows 10 also delivers desktop and mobile UI which looks polished and crisp across a wider range of display densities and viewing distances than we have ever before supported on Windows. Finally, Windows 10 drives support for high quality multi-monitor scaling for docking and projection into more of both our desktop and our mobile UI. I have a Surface Pro 3 with an external HD monitor running Windows 10. The Surface screen is scaled to 150% DPI, the HD monitor, which is the main screen, is in native 100% scaling. This article covers the basics of scaling in Windows 10, how it works, and how users will benefit from the work we have done. It wraps up by charting the course forward and show what we want to tackle in future updates to Win10. For our end users, display scaling is a platform technology ensuring that content is presented at a consistent and optimal--yet easily adjustable--size for readability and comprehension on every device. For our developers, display scaling is an abstraction layer in the Windows presentation platform, making it easy for them to design and build apps which look great on both high and low density displays. While these examples use phones for the sake of simplicity, the same concepts apply to wearables, tablets, laptops, desktop displays and even conference room wall-mounted TVs and projectors. Note that more than one display may be used on the same device—either all at the same time, or at different times in sequence. Scale factor and effective resolution are therefore dynamic concepts and depend on where content is displayed at a particular time. Some everyday scenarios where this dynamic scaling can take place include projecting, docking, moving apps between different monitors, and using remote desktop to connect your local display to a remote device. A large number of older classic desktop apps look blurry on high DPI displays. In Windows 8.1 the set of supported scale factors was different for different kinds of content. Classic desktop applications scaled to 100%, 125%, 150%, 200% and 250%; Store apps scaled to 100%, 140% and 180%. As a result, when running different apps side by side in productivity scenarios, content could have inconsistent sizes in different apps. In addition, on very dense displays, the scaling systems “capped out” at different points, making some apps too small on them. In Windows 8.1 all scaling topped out at 180% or 250%. For Windows 10 we knew that devices like 13.3” 4K laptops and 5.2” and 5.7” QHD phones would require even higher scale factors. Our unified scaling model for Windows 10 runs all the way to support 450%, which gives us enough headroom to support future displays like 4K 6” phones and 23” 8K desktop monitors. As part of this effort, Windows 10 has polished the most commonly used desktop UI to look beautiful and clear even at 400% scaling. We have also overhauled our Mobile SKU so that the mobile shell UI and UWP apps will scale to the Windows 10 scale factors. This work ensures that UWP apps run at the right size on phones and phablets as well as desktop displays, and that the mobile shell UI is presented at the right size on phones of different sizes, resolutions and pixel densities. This provides our users with a more consistent experience, and makes it easier to support new screen sizes and resolutions. When we added dynamic scaling support in Windows 8.1, there was relatively little inbox UI that worked well with dynamic scaling, but in Windows 10, we have done work in many areas of the Windows UI to handle dynamic scaling. As noted above, UWP HTML and XAML apps are designed to be dynamically scalable. As a result, these applications render crisply and with the right size content on all connected displays. Windows 10 makes large parts of the most important system UI scale properly in multi-monitor setups and other dynamic scaling scenarios so that it will be the right size on any display. For example, the desktop Start and Cortana experiences are built on the XAML presentation platform, and because of that, they scale crisply to the right size on every display. File Explorer—a classic desktop application built on the Win32 presentation platform—was not designed to dynamically rescale itself. In Windows 10, however, the file explorer app has been updated to support dynamic scaling. In Windows 8.1 the Windows taskbar had similar historical limitations. In Windows 10, the taskbar renders itself crisply at every scale factor and the correct size on all connected displays in all different scenarios. Secondary taskbar UI like the system clock, jumplists and context menus also scale to the right size in these scenarios. We have done similar work elsewhere in commonly used parts of the desktop UI. For example, in Windows 10 “console windows” like the command prompt scale correctly on all monitors (provided you choose to use scalable fonts), and other secondary UI like the “run dialog” now scales correctly on each monitor. In Windows 10 the mobile platform also supports dynamic scaling scenarios. In particular, with Continuum, the phone can run apps on a second attached display. 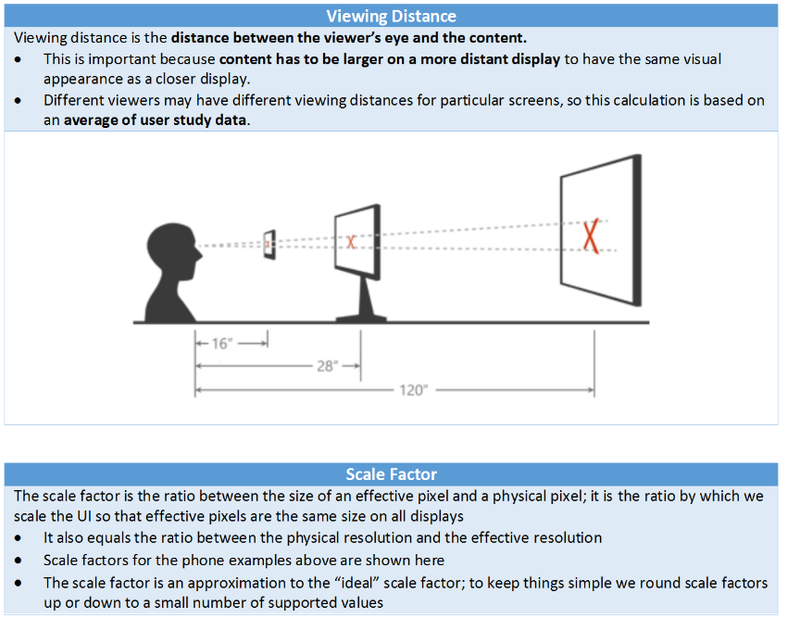 In most cases external monitors have different scale factors than the phone’s display. UWP apps and shell UI can now scale to a different DPI on the secondary display applications so that Continuum works correctly at the right size on the Mobile SKU. 1) There was a single slider for multiple monitors. The slider changed the scale factor for every connected monitor, making it impossible to reliably tweak the scale factor for only one of the displays. 2) Users found it confusing that there were two scale settings, one for modern apps/UI and another for classic apps/UI, and that the two settings worked in significantly different ways. In Windows 10 there is a single scale setting that applies to all applications, and the user applies it to a single display at a time. In the fall update, this setting has been streamlined to apply instantly. Some applications (for example, Lync) choose to disable bitmap scaling for a variety of technical reasons, but do not take care of all their own scaling in dynamic scaling scenarios. As a result, these apps can display content that is too large or too small. We are working to improve these apps for a future release. For example, desktop icons are not per-monitor scaled in Windows 10, but in the fall update they are properly scaled in several common cases, such as docking, undocking, and projection scenarios. 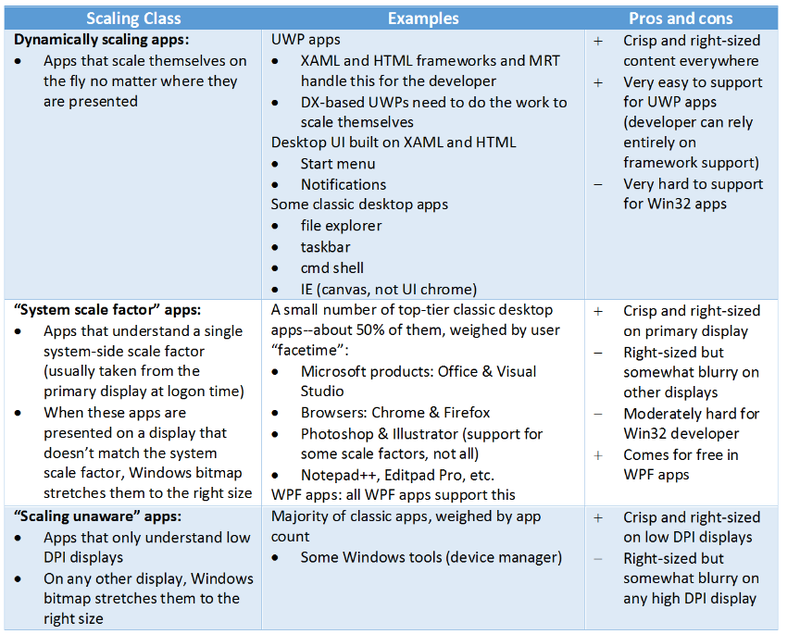 Although the UWP Office applications are fully per-monitor scaled in Windows 10, the classic desktop apps are “System scale factor apps”, as described in the table above. They generally look great on a high DPI device, but when used on secondary displays at different scale factors (including docking and projection), they may be somewhat blurry due to bitmap scaling. A number of popular desktop applications (Notepad++, Chrome, Firefox) have similar blurriness issues in these scenarios. We have ongoing work on improving migration tools for developers with these complex Win32 desktop applications. 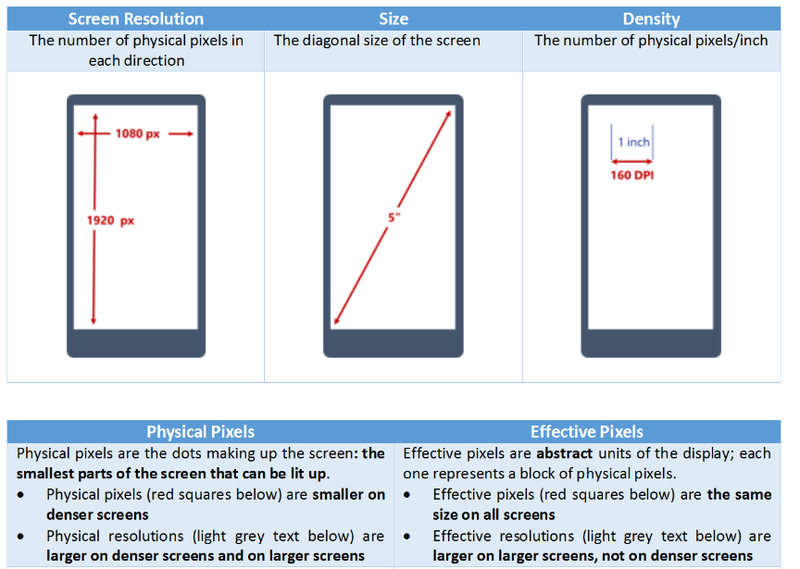 Scaling is a complex problem for the open Windows ecosystem, which has to support devices ranging in size from roughly 4” to 84”, with densities ranging from 50DPI to 500DPI. In Windows 10 we took steps to consolidate and simplify our developer story for scaling and to improve the end-user visual experience. Stay tuned for future releases!